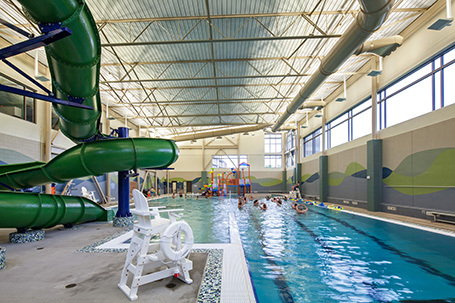 The new Bridgeton Recreation Center replaced the existing 1980’s building with a new state-of-the-art comprehensive facility. The new 53,000 sq. 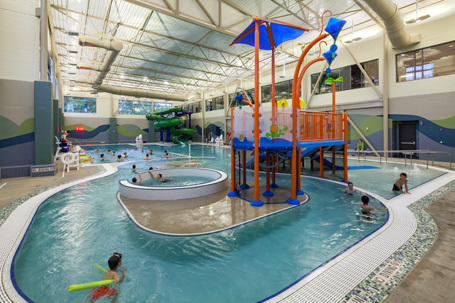 ft. recreation center enhances the well-being of the entire community by offering diverse family-oriented activities not available at the old community center. 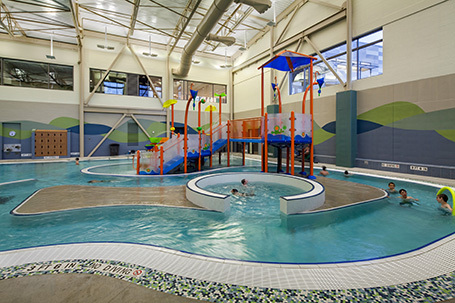 The facility also features a larger fitness center, an indoor walking track, on-site child care, gymnasium, and meeting rooms. The project was funded by a voter-approved sales tax used to bond the construction costs.